Venetian Glass Mirror – Many people say that family room is the core of a house. The reason is: in this space we can gather, brainstorm, talk about the activities that have been passed, even to make plans for the day tomorrow, see the movie or play with children. No wonder if the living room would have a beautiful portion, elegant and very comfortable when in place. Cushioned sofa seats, wide TV, and wall hangings are also a serious concern when making and even furniture. One of the right choices to decorate dinging living room is with Venetian glass mirror. 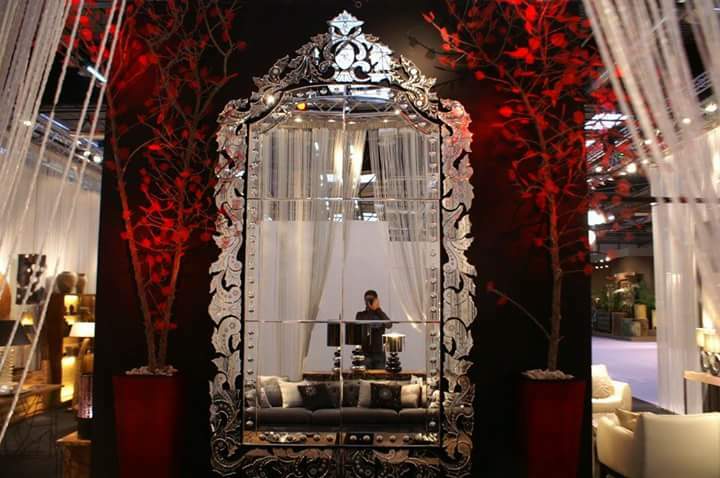 Venetian glass mirror has many functions for now (ZAMAN NOW). in addition to ornamental, folk as wall decoration or substitute wall painting. With this mirror then the space will look wider and brighter. Reflected lights on the mirror will reflect light in the room. Luxury and magnificent it would be in the produce. The engraving on every part of the glass will shine; beveled glass on each edge perfects the typical style of this mirror. From here, the designs of mirrors are growing and varied. From the initial model to only rectangular beveled edge mirrors and now there are round, oval and other shapes. This mirror design can be found in the hotel lobby, bedroom or bathroom. Venetian glass for living room: usually this room has a wider size in comparison with other space. Preferably choosing the most suitable is Venetian glass mirror. a large size will also make the center of attention for those who see it. While for his style should be adjusted with your home style. if your house is modern, can choose venetian glass mirror full length. Carving that surrounds the middle frame makes this mirror very beautiful. 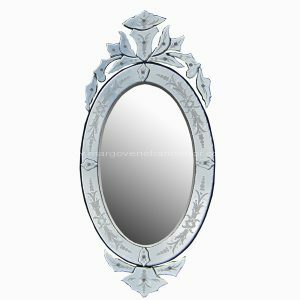 While for Venetian glass mirror small suitable if hanging on the wall of the bathroom. Venetian glass mirror produced by this supplier is: unique and luxurious and of course Elegant. Because, All production produced by this factory is by manual or hand made by experts who have been in the mirror for decades. Surely was no doubt for the quality, beauty of design, and time of manufacture. For that reason Venetian glass mirror becomes natural or organic look. The advantage of this company is in addition to not having a minimum order, can also help you though only for consultation planning your living room mirror. In order to get the Venetian glass mirror quality, we are assisted by trusted checkers to guard our production and delivery. It is only right if we are believed! Who is Margo Glass Gallery? is a Venetian glass mirror manufacturer and its products are: Venetian glass mirror oval, round, rectangular, octagonal and other mirror art. Venetian glass mirror easy hanging vertical or horizontal on the wall. To smooth our goods to costumer safely and not broken is the hope for us and customer. Therefore, of course we are also assisted by a forwarder or export shipping services that faithfully help and supervise all shipments to the customer safely. Because choosing the right company for the right now is very important and difficult let alone the era of digital like for now. Please!!! Do not hesitate to contact us if you want more information about price, measure or custom design. We really appreciate if you would like to contact us and can supply Venetian glass mirror especially to your company because can work together for long term is one of our visions. This entry was posted in Articles and tagged Beveled edge wall mirror, Full length Venetian Mirror, Venetian mirror bathroom, Venetian mirror large, Venetian mirror small. 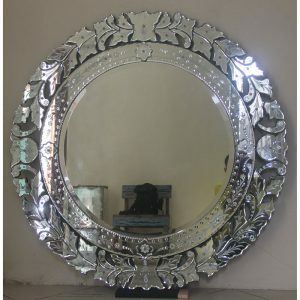 Story of Venetian Style Mirror in Java Indonesia. 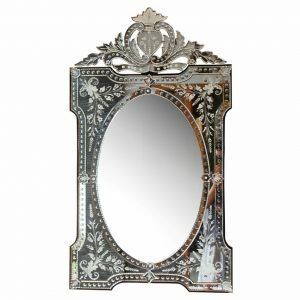 What Makes You Need Antique Venetian Wall Mirror For Home?